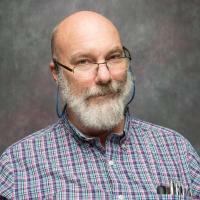 Research Description: Prof. Robert G. Brown is interested in using algebraic and statistical methods to study a wide range of equilibrium and nonequilibrium problems. With collaborator Dr. Mikael Ciftan, Dr. Brown has developed new Monte Carlo Langevin equation-based techniques that allow dynamic/nonequilibrium and static/equilibrium phenomena to be studied on the same footing. His recent work includes algebraic and computational studies in dynamic and static critical phenomena in quantum optics and magnetism. In earlier work, Dr. Brown also developed a generalized (non-muffin-tin) stationary multiple scattering theory including applications to band theory and quantum chemistry. This work formally eliminates the muffin-tin approximation from KKR-type band theory and its equivalents in quantum chemistry, without the need for so-called "near field" corrections. Brown, RG; Ciftan, M, Critical behavior of the helicity modulus for the classical Heisenberg model, Physical Review B, vol. 74 no. 22 (Winter, 2006), American Physical Society (APS) [doi] [abs]. R.G. Brown, Monthly column in Cluster World Magazine (December 2003 to present) (A list of column titles and topics follows. The column itself was initially called "Cluster Kickstart", which explains the focus on topics for the beginner. In January, 2005 the column's name was changed to "Cluster Edge" and topics are more free ranging..) . R.G. Brown, A Modest Proposal, Monthly column in Cluster World Magazine (May, 2005) (What if we made a benchmark daemon a built-in component of standard Linux? Tools with a library interface could optimize in many useful ways, and automagic resource aware cluster schedulers would finally become possible.) . R.G. Brown, A New Year, a New Column, Monthly column in Cluster World Magazine (January, 2005) (Random thoughts about clusters, column names, and Linux versus Windows in my home cluster/LAN.) . R.G. Brown, Packets 'n' Protocols II, Monthly column in Cluster World Magazine (October, 2004) (Wrap your data in TCP, pop it into an IP datagram, and insert it into an ethernet envelope...continued and with UDP thrown in for good measure.) . Prof. Robert G. Brown is interested in using algebraic and statistical methods to study a wide range of equilibrium and nonequilibrium problems. With collaborator Dr. Mikael Ciftan, Dr. Brown has developed new Monte Carlo Langevin equation-based techniques that allow dynamic/nonequilibrium and static/equilibrium phenomena to be studied on the same footing. His recent work includes algebraic and computational studies in dynamic and static critical phenomena in quantum optics and magnetism. In earlier work, Dr. Brown also developed a generalized (non-muffin-tin) stationary multiple scattering theory including applications to band theory and quantum chemistry. This work formally eliminates the muffin-tin approximation from KKR-type band theory and its equivalents in quantum chemistry, without the need for so-called "near field" corrections.